Signboards can be placed on the inside and outside of a store. When placed outside it helps catch the eye of a customer. And when placed inside, it upgrades the interior design. Signs plates have the advantage of looking more luxurious than other signs. They are useful for restaurants to show large scale menus. We have full color plates with compound aluminum board (durable and heat resistant). We also have metal plates, extra large plates, over 1.1 yards wide jumbo plates, simple plate combined with decal sheet and clear acrylic plates. All are available for your need. 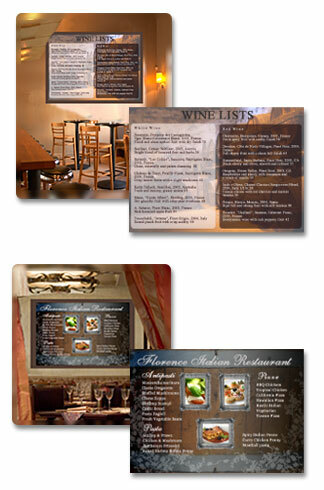 Acrylic boards are versatile in their usage and can be mounted against any wall. 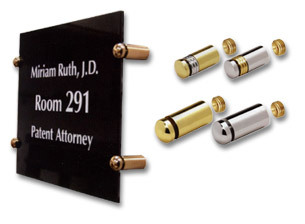 Your company logo can be placed on an acrylic board inside or outside of your office. Hanging an acrylic board with sumptuous hooks rather than a poster board on an easel, gives your office a luxurious feeling! It窶冱 easier for customers to see a list of drinks and their prices by placing a bar menu on the wall. 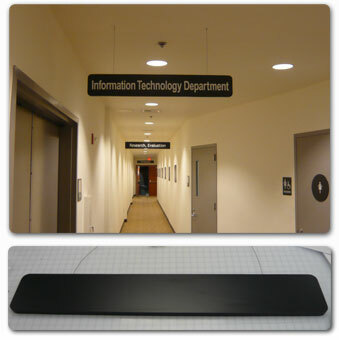 Sign boards can be used for these purposes and other interior design ideas. Often used at the counter or the entrance of a restaurant, customers are able to look over a whole menu at once thus making it easier to order food. In addition, placing pictures of food items on a board helps the customer in their decision!. Signboards are often used for campaigns and events. They give a dramatic effect by combing a design with your message. It is a useful tool to show your sales points and images of your business.